Posted by gordonwatts in Food, life. This was a New Year’s resolution. I would make bread this year. I used to do it all the time – I would make sandwiches for work on my bread, for example. But as I grew older I fell out of the habit. Too much work to do, is what I told myself. For the same reason I stopped cooking for myself and started eating out all the time. 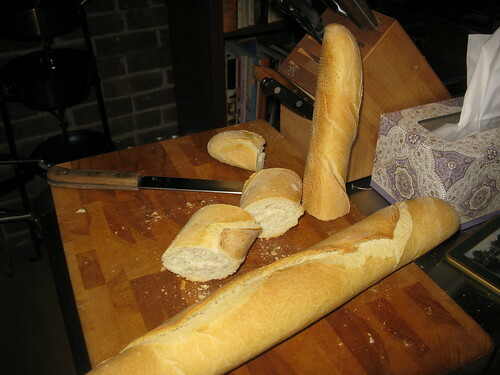 I thought I’d start simple – French bread. This is single rise, so it is easy and doesn’t take that long. Less than two hours start to finish, and it can be ignored for about an hour and a half of that two hours. I also had some help, which made it go faster. But there was a problem. Just before New Years I slipped and fell on some ice in a hotel parking lot near Fermilab. I fell and a rib or two absorbed the full force of my fall when I hit a curb. It didn’t break – the emergency room called it “Skeletal stress.” Whatever, the upshot is it is still too painful to do something like knead the bread. 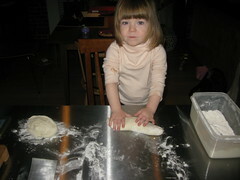 So I had to use one of those MixMaster 5000 things to do most of the kneading. Paula pretty much had it: “It is like the French Bread you buy in a French Supermarket.” The bread is still good, but it has a level of uniformity, and it isn’t chewy enough either. Darn. Hopefully I’ll try this again next week and my back will be in good shape. I’m at Fermilab staying at a hotel out here in the suburbs. As usual, I eat a lot of Subway sandwiches, Panera sandwiches, and chain food/dinners. Not good, and probably not all that healthy. Paula is back in France, along her mother and with Julia. 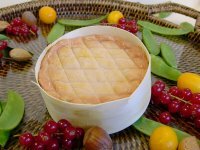 What are they eating really good cheese (like the Epoisses shown at left). I’m looking forward to my flight back on Saturday! Posted by gordonwatts in Food, physics life. They say that it is usually the high school teacher – if you have a good high school teacher it is likely that you will be open to studying that field when you get to university. For me it was my Dad. He is also a particle physicist. He used to take me to work when I was a kid – at 10 years old I got to play with a PDP-10 computer. But a good part of the reason I liked going into Rutgers was the food we’d pick up on the way in. 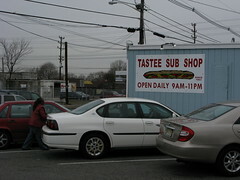 Tastee Sub Shop. I don’t know what it is about their subs that they get so right. The tomato and the oil and vinegar are somehow so much better than anyone else’s. And these things are nothing fancy – just the standard ingredient. 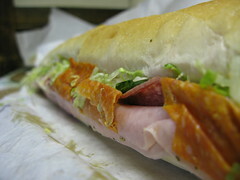 Puts the Subway sandwich’s I eat when I’m at Fermilab to shame – even with their fancy breads.